Preliminary site plan. Click to enlarge. 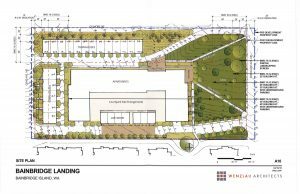 Islanders can learn more about a proposed housing development on Ferncliff Avenue during a public participation meeting June 6. 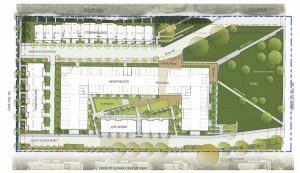 Bainbridge Landing would create 110 apartment units, 28 townhomes, seven lofts and a 1-acre park on 4.7 acres. An old house on the property will be relocated. 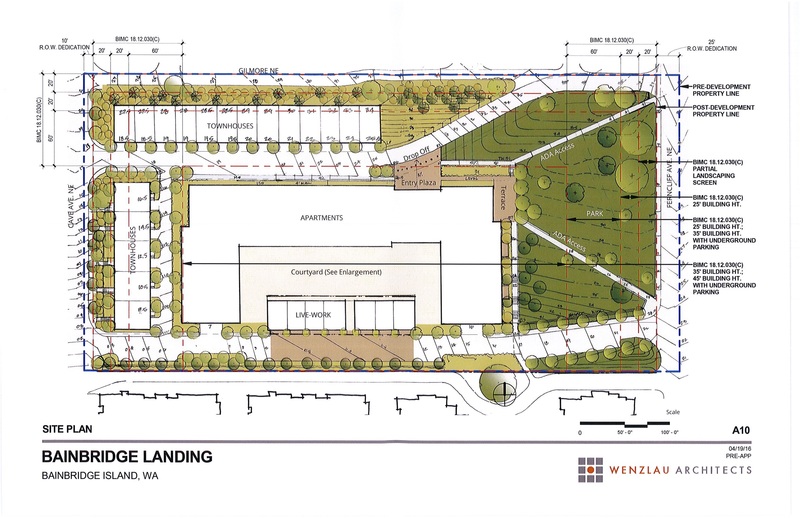 The land is just north of the Harbor Square apartments, up the hill from the ferry terminal. 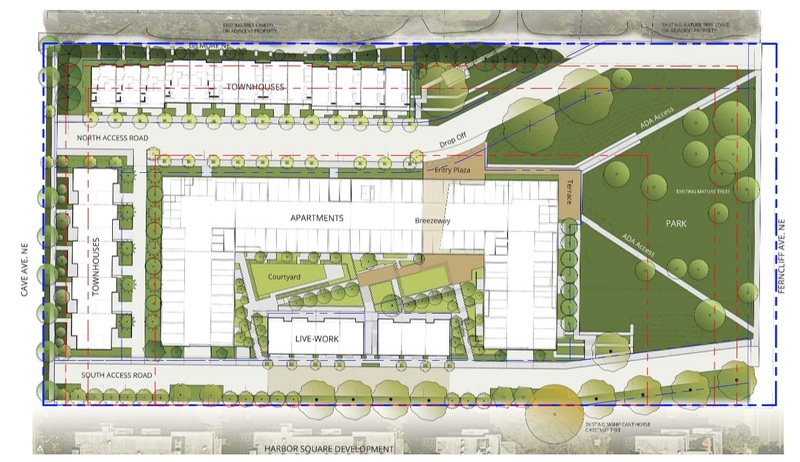 Olympic Property Group and Sound West Group are teaming up on the development. Charlie Wenzlau is the architect. The meeting is scheduled for 6 p.m. at City Hall. You can read more about the project in this Kitsap Peninsula Business Journal story.